Being Gluten Free and feeding kids that are GF AND dairy-free is not always easy. This site is dedicated to help others going through the same thing! Scroll our pages for great help with recipes, tips, and more. Help! This is all so overwhelming. Where do I even begin?! Don't worry. We've done all the work so you don't have to. Click here to begin. Looking for something yummy and gluten free? We add great recipes to our site weekly. Click here to see what's cooking today. Ready for a good read? We highly recommend this book. It'll help you understand a little better the WHY behind going Gluten Free. 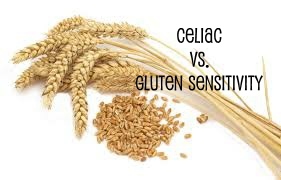 Celiac vs. Gluten Sensitivity- Not sure of the difference? Check out this great ARTICLE written by my husband Dr. Brandon Nielsen for more information. Learning about ALL the different varieties of Gluten-Free options can be overwhelming. Check out our "Gluten-Free Flour" page to learn more. Gluten-Free but want to eat out? Check out our compiled list of great Gluten-Free Restaurants HERE. Do I think wheat is BAD? No. Wheat is for man. But what man has been DONE TO IT is pretty bad. And what it can do to our bodies is pretty scary too! My husband (Dr. Nielsen) explains more. 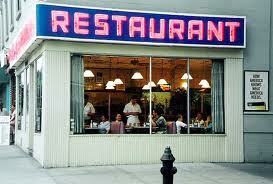 Then whenever we post new recipes or share a new gluten free restaurant, you'll be first to know! We pin our new recipes every week along with other great gluten free recipes we find! Want to pin a recipe from my site? Simply run your mouse over a recipe's photo and the PIN IT button will appear. Simply type in a recipe name or ingredient and it will pull up information ONLY from this website!